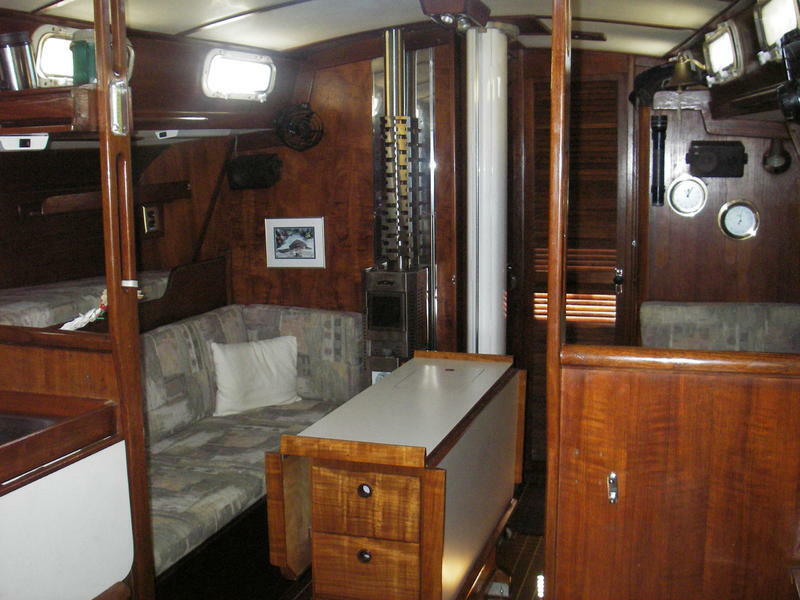 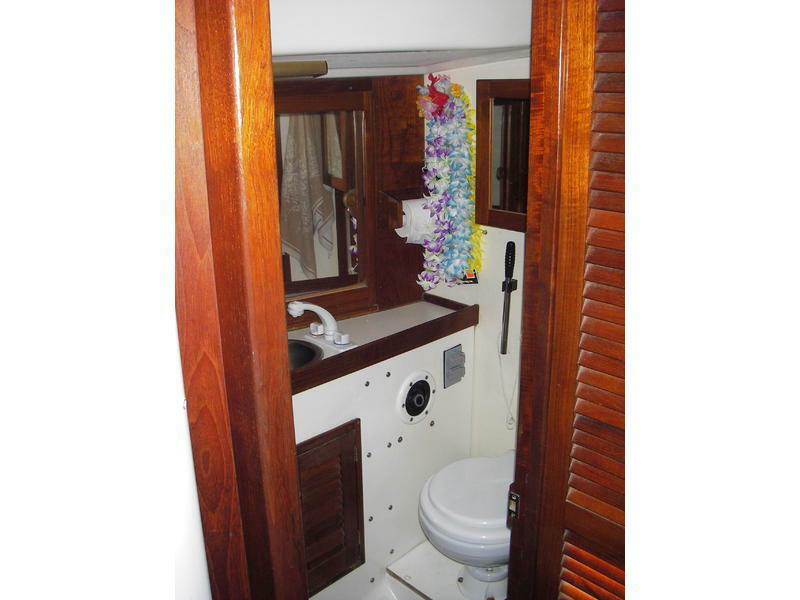 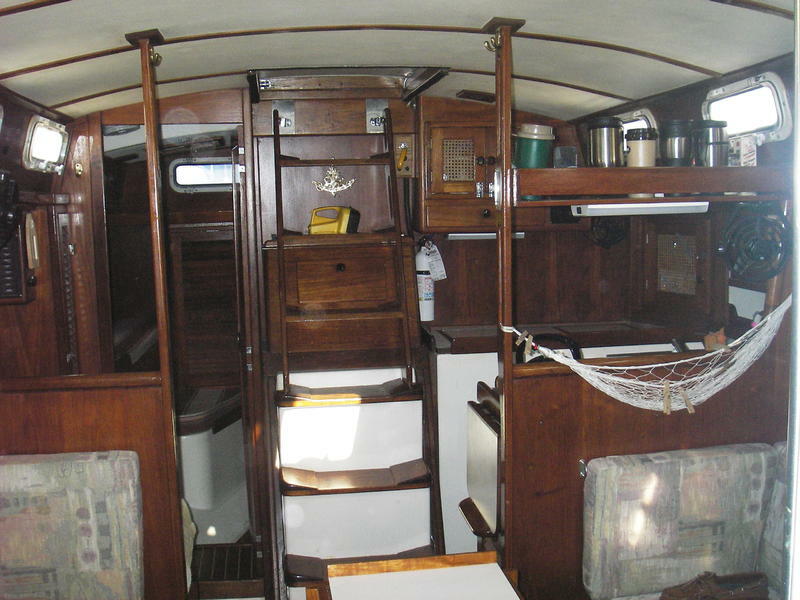 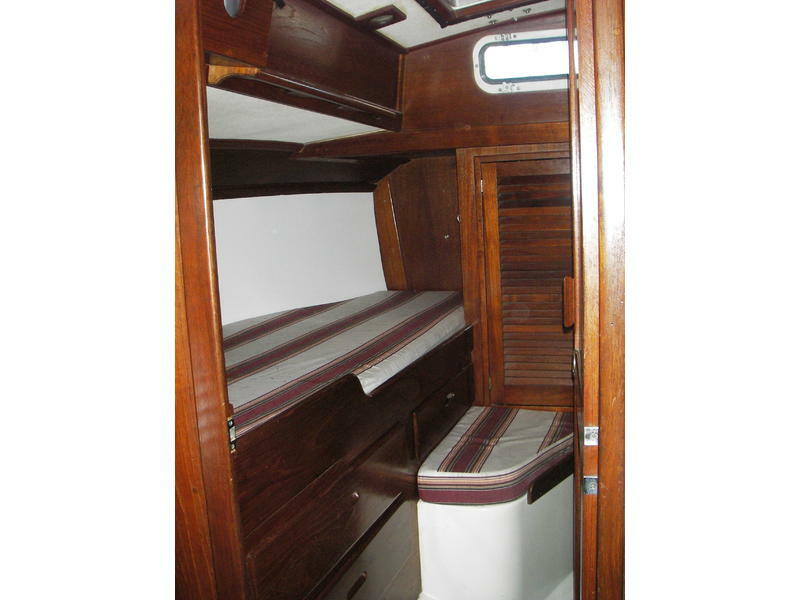 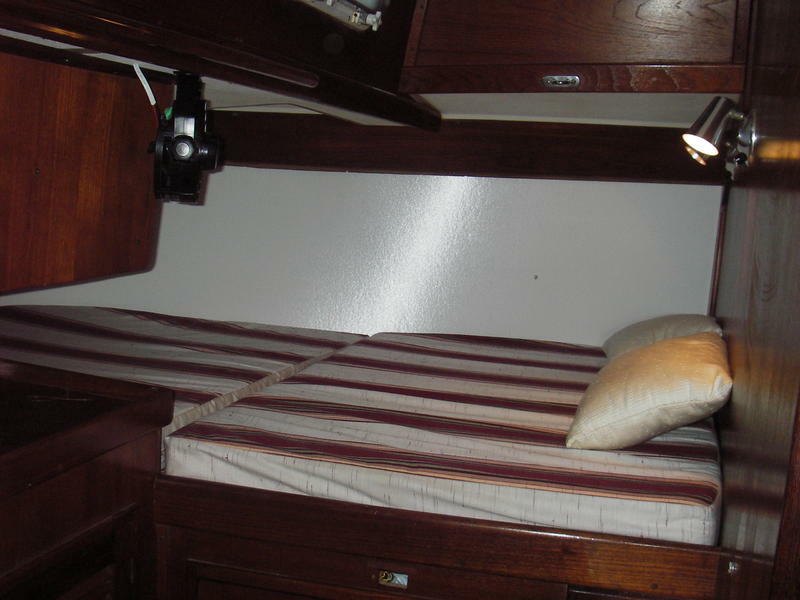 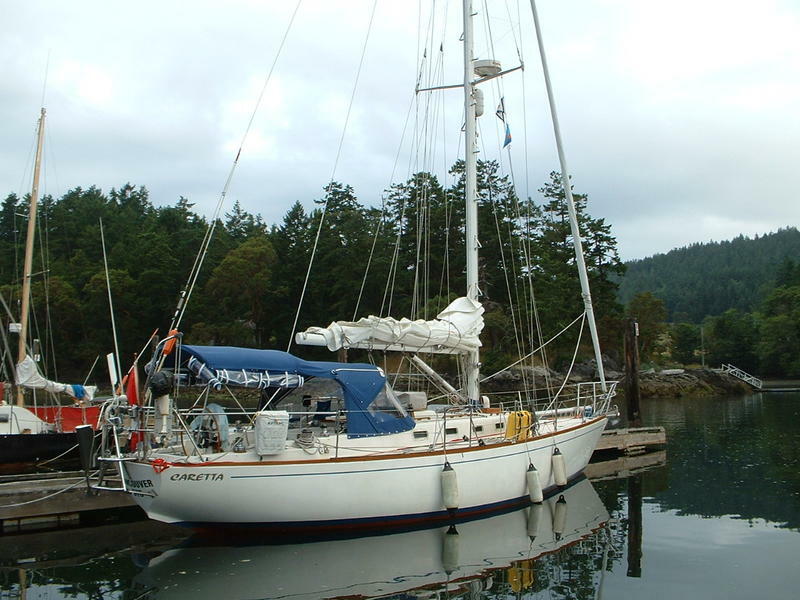 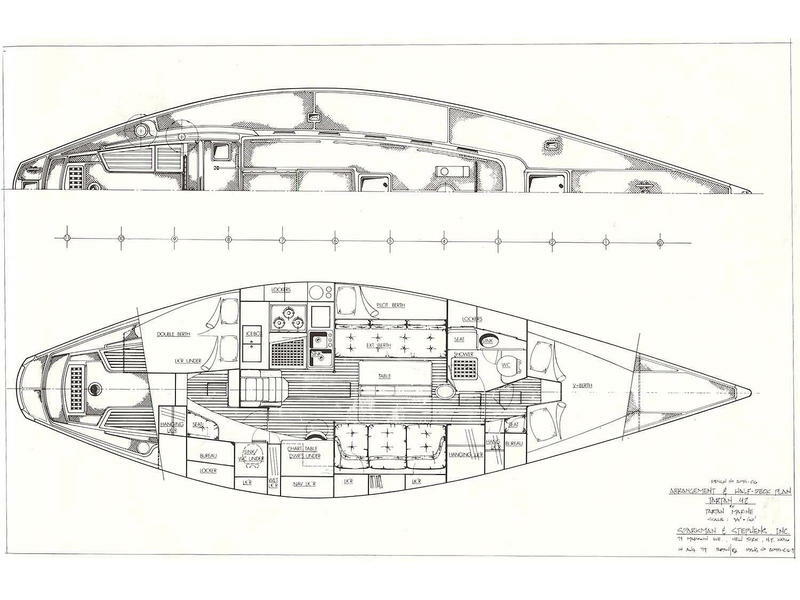 Beautiful Sparkman & Stephens three-cabin design for ocean cruising, with Scheel keel (9200 lbs lead), removable Inner Forestay – many upgrades including new standing and running rigging, Profurl NC42 roller furling, lazy-jacks, custom stainless twin anchor bracket, mast steps, solid teakstrip sole throughout interior, ICOM M710 SSB with Pactor Modem for e-mail etc Well-maintained with new bottom-paint and zincs annually. 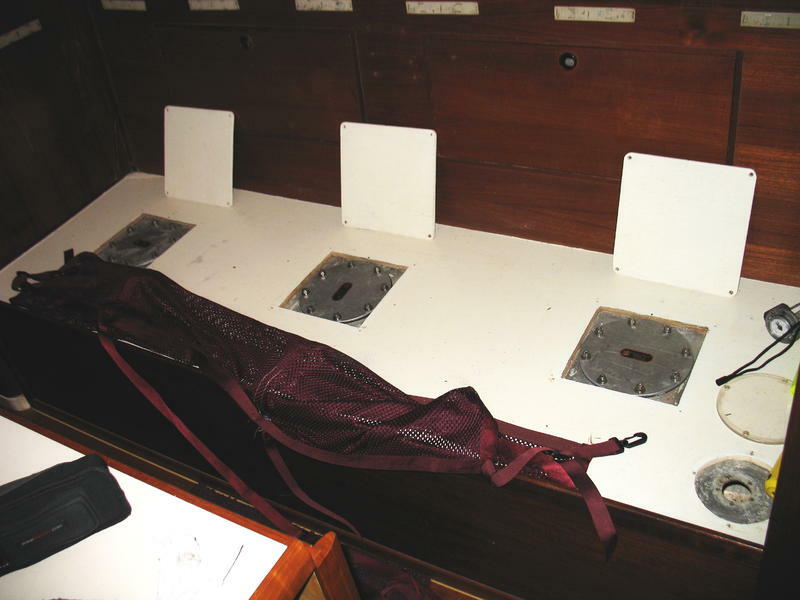 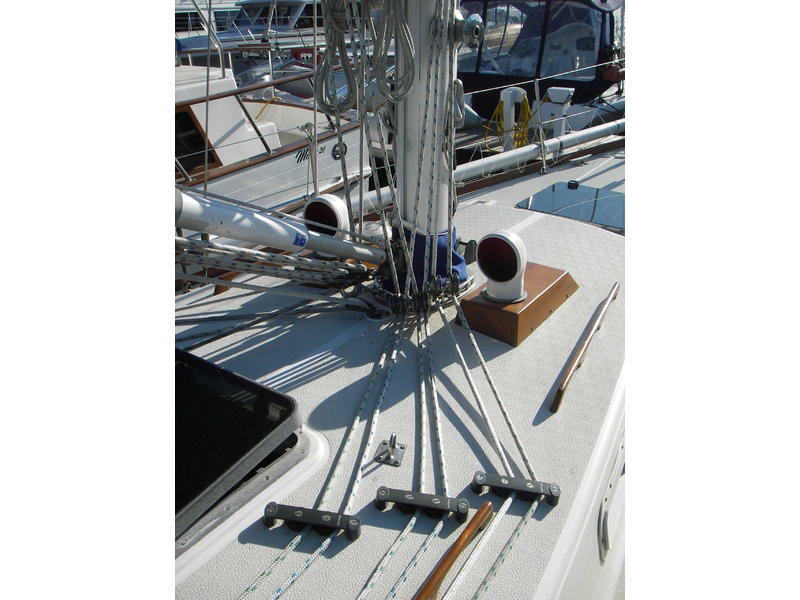 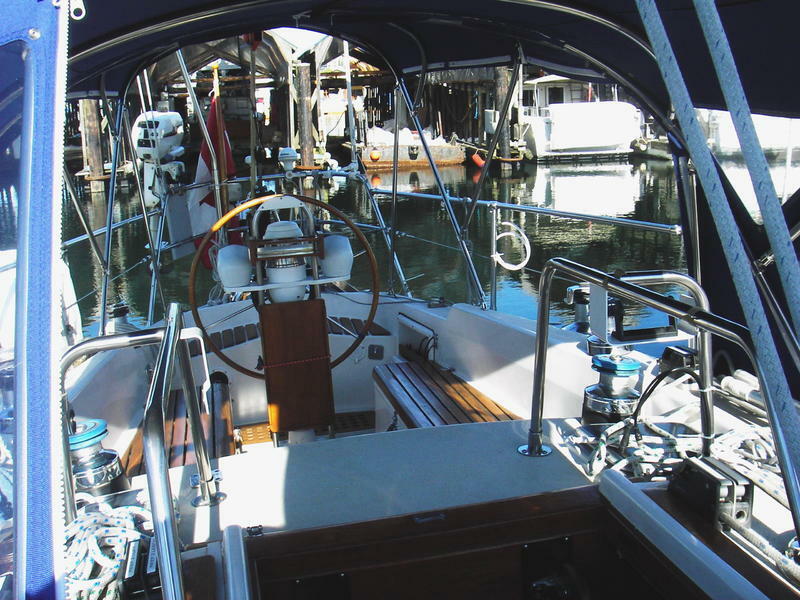 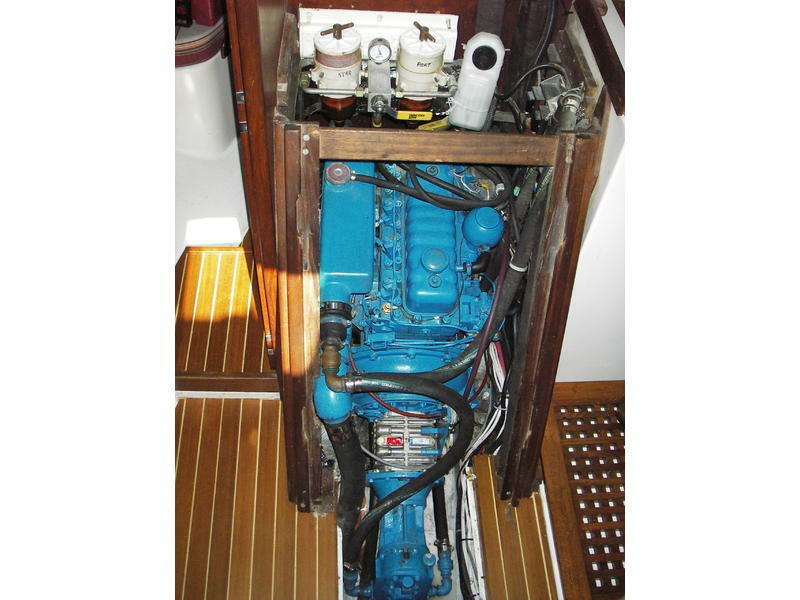 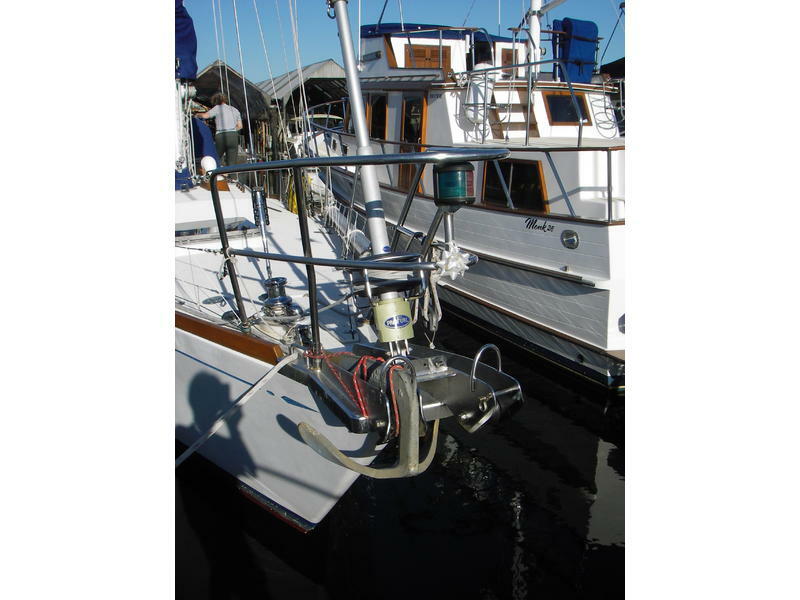 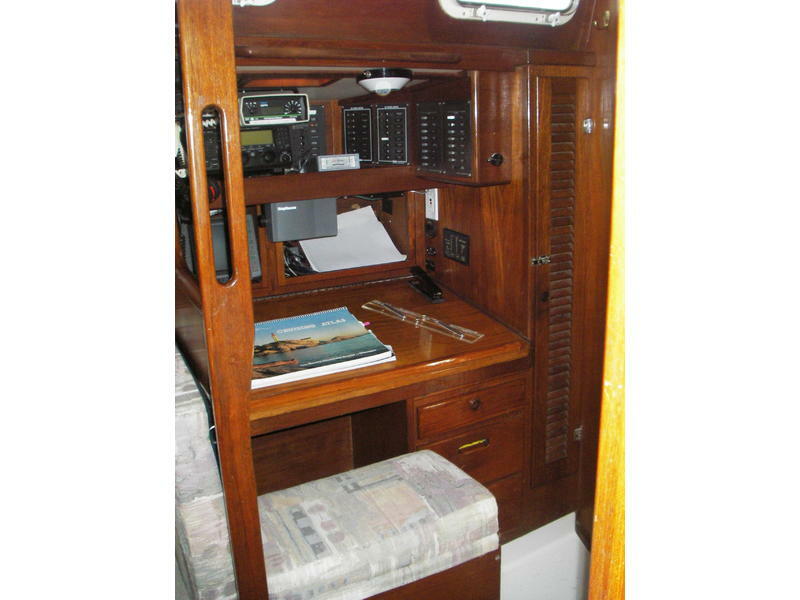 Surveyed June, 2012 – No action required – Ready for cruising now! 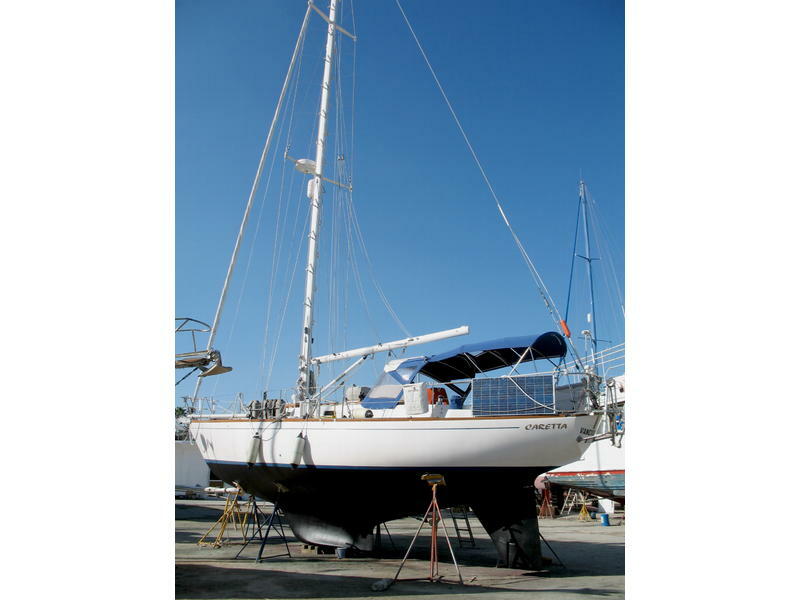 9 Sails, including new Main, storm Staysail and Trysail, plus spinnaker, cruising spinnaker, etc Soinnaker Pole and reaching strut, Monitor windvane steering plus ComNav 1420 autopilot below decks, Perkins 4-108 with twin Racors, 3-blade MaxProp and 65gal diesel tank, Dickinson cabin heater with day-tank, hi-output Balmar alternator, 2000W Inverter/Charger, 2x120W solar panels, Raytheon radar and GPS plus Garmin GPS color Chart-plotter in cockpit, 135 gals water in 4 tanks, pressure hot and cold in Galley and Head, Hillerange 3-burner propane stove with oven, Maxwell electric Windlass, 44lb Bruce anchor and 300 ft chain plus two other anchors and rodes, 12v Adler-Barbour Fridge-Freezer, 4-man life-raft, lifesling, dinghy- motor crane, full cockpit canvas enclosure with side curtains and much more . . .